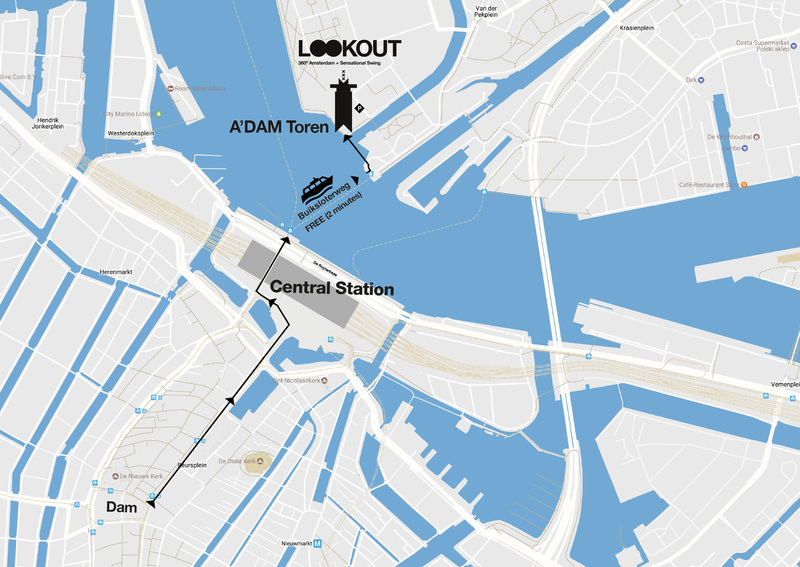 The LOOKOUT is the crown on the A’DAM Tower Amsterdam, the iconic building right next to the Eye Film Institute and opposite the Central Station. 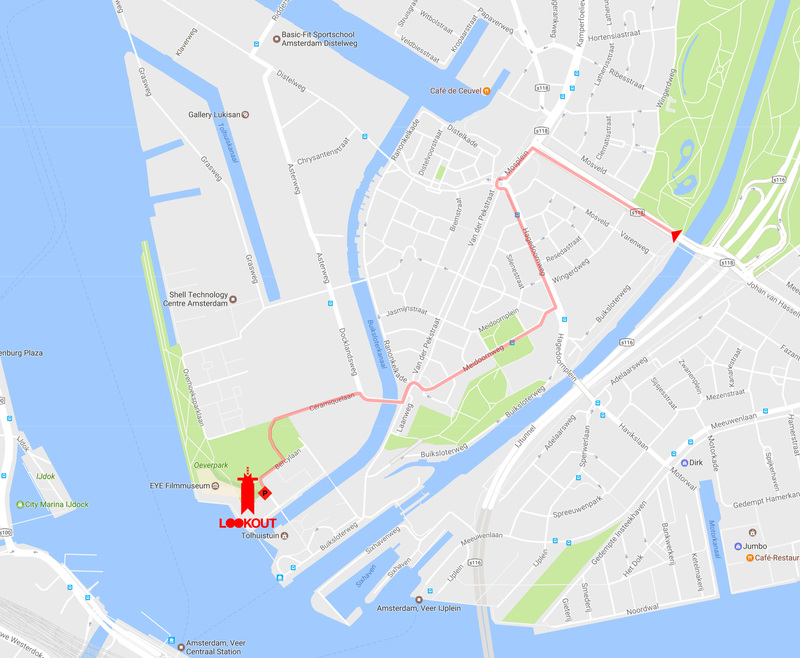 You can reach the LOOKOUT by taking the free ferry (to Buiksloterweg) from behind the station, followed by a short walk along the IJ. Our parking garage is 24/7 open. € 1,15 per 20 minutes. € 44,- per day. Planning a visit from abroad? 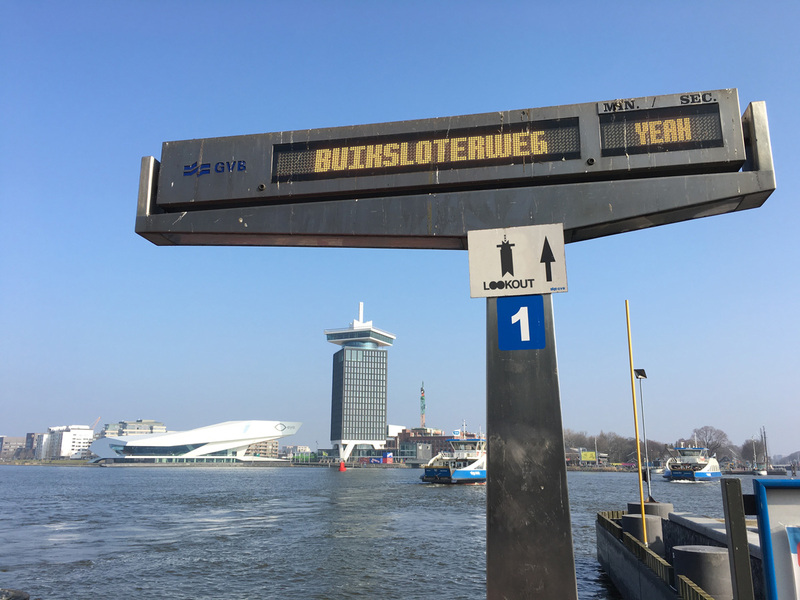 KLM flies direct to Amsterdam from more than 140 cities worldwide.